Jack Butala: Property We Buy East of the Mississippi with Great Success. Every Single month we give away a property for free. It’s super simple to qualify. Two simple steps. Leave us your feedback for this podcast on iTunes and number two, get the free ebook at landacademy.com, you don’t even have to read it. Thanks for listening. Jack Butala: Welcome to our show. In this episode, Jill and I talk about property we buy east of the Mississippi with great success. Great show today, Jill. Jack Butala: It’s the answer to the one before it, west of the Mississippi. Jill DeWit: Fantastic. This just came in yesterday or today. 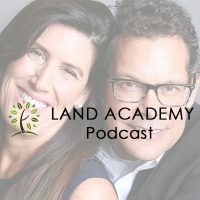 Angela asks: “I’ve been contemplating joining Land Academy but I know how Jack and Jill feel about Alaska properties.” I didn’t even know how I feel about Alaska properties so I thought that was really funny. Jack Butala: I can’t wait to hear this. Awesome, Angela. I’m glad you are here and I’m glad you have found us and you’re asking all the right questions. I confirmed and the answer is yes as far as our data, just so you know. Jack’s going to talk more about Alaska. It sounds like you figured some stuff out on your own, but I went just to make sure in Data to Doorstep and we’re talking 99 percent of counties, we really mean 99 percent of US counties and Alaska, heck yeah, is in there by the way in Data to Doorstep, knock yourself out, and in case anyone’s wondering, Hawaii is also included. If you want to pull data for both of those places it’s available. Jack? Jack Butala: I sent … I’m so glad that Angela said this. Again, Jill, I’ve never thought … I’ve never had a positive or negative feeling about Alaska. Maybe, I don’t know. Anyway … I have purchased properties in Alaska and Hawaii sending mail to offers, exactly like we do, we talk about all the time, and with great success, specifically on Hawaii’s large island. Did you know that Hawaii has the largest cattle farm in the world? Jack Butala: Isn’t that crazy? On that island specifically. Anyway, there’s a lot of property to be purchased. Not so much via the back tax method which we’ve talked about a million times. It’s not my favorite way, but sending letters to Alaska and Hawaii is a great way, and no, it doesn’t have to be more expensive. I will say this on this, on her sentiment about fewer properties, higher cost, there’s nothing wrong with that. We have a lot of members who choose that route. They choose to do one or two deals a month, they pay a little bit more for their properties and then they sell them for a little bit more and then they make a little more. You can make 5, 10, 15 thousand dollars a month doing one or two transactions. There’s nothing wrong with doing 2 good Alaska deals, especially for people who have one and two jobs. A lot of our members have, they have work full time too. It works great. It’s all how you work it. We have the tools. Jill and I choose to do it like a machine where we just buy and sell a ton of properties all the time and with a pretty fairly low margin to ensure that our customers come back, but we have, probably I would say, Jill, half of our members choose the other way. Jack Butala: They just do one or two deals a month. Jill DeWit: Mm-hmm (affirmative), and they’re all over the place, so Angela, you’re not alone. There’s people picking interesting counties and states and stuff that I would … they’re just killing it. Things I hadn’t even looked at, so yep. Jack Butala: Hey, if you have a question or you want to be on the show, call 800-725-8816. Property we buy east of the Mississippi with great success. This is the meat of the show. Vacation land, vacation land, that is what we cannot keep in our inventory. Here’s the model: We talked on the show before this about acreage. That’s what we can’t keep in our inventory west, but east of the Mississippi, we shoot for places like eastern Wisconsin or Northern Michigan or north east Ohio. Places that people that live in the rust belt, those larger cities there like Detroit and Chicago, and some of the larger Ohio cities, where they want to go on vacation, or they want to put a cabin. They want to build a second home or they want to take snowmobiles or ATVs or take their family, put a tent on it for the weekend. We can’t keep that stuff in inventory. I’ve actually purchased properties out of the MLS. My little sister is a real estate agent in Traverse City, Michigan and she shoots me in an automated way when something trips the MLS up there, we purchase it and package it up and resell it on terms for payments. We can’t keep it in stock, especially if it’s anywhere close to water. We don’t try to buy 40 acre properties in Michigan, that’s silly. We could do it. It wouldn’t be a hundred dollars an acre. I’ve bought large acreage property on accident there and you will too if you send out enough mail, but that’s not what we shoot for. What do you think, Jill? What’s your favorite east of the Mississippi? Jack Butala: We have a lot of members from North Carolina. Jill DeWit: Yeah. There’s some great lake areas that people love to just go, and it’s a couple hour drive for them, from where they are. Maybe they’re in Atlanta or something, I don’t know, and they’re going to go somewhere pretty. Those do so well and you’re right. It’s hard to keep them in inventory. That’s the stuff I like. Then we’ve even talked about, and I remember knowing about this growing up from my friends. Upstate New York. Jack Butala: Summer vacation, right. Jill DeWit: … And that’s the stuff that does really, really well east of the Mississippi. You can find some pretty green stuff up there that you can get to and there’s a lake nearby, good luck keeping it in your inventory. [crosstalk 00:06:27]. Jack Butala: Craigslist is the place to sell those properties by the way, for some reason. Jack Butala: We drive a ton of traffic to a lot of our websites, but for some reason people on the weekend get onto Craigslist and they want to try to find vacation lots and they want terms. They don’t want to pay cash. They want to pay a couple hundred dollars a month. A thousand dollars down, I couple hundred dollars a month, and they want to use it immediately. They don’t want to build on it but it seems like they want to go up there that weekend and check it all out. It’s a good customer thing, more than out west. Out west is, you sell a large acreage property, the customer might not see it for 2 or 3 or 4 years [crosstalk 00:07:04]. Jack Butala: There’s a lot of seller satisfaction for us to see these people actually using this property. We send all this mail out and we hear it on the buy side or on the acquisition side where somebody says, “You know, I’ve never seen the property,” or “I inherited it,” or “Man, I’m really glad to get rid of this I’m tired of paying the taxes.” Then you see somebody a week later who’s just … It’s like going to a garage sale. Somebody’s now actually using this thing that’s been sitting in someone else’s garage forever. So there is some seller satisfaction about it. I feel good about it. Jill DeWit: I think there’s so many eastern coast cities that are so populated that everybody wants to get out of there right away, and like you just said, they want to use it right away. They want to go out there every weekend. They will be out there every weekend, just to breath and see the stars and maybe have a camper, something like that. Jill DeWit: They just want to get out and enjoy it and just breath a little bit. Jack Butala: I bought a piece of property in the upper peninsula a few years ago and resold it for cash for probably 10 times what we paid. It was up on kind of a hill, just right over the border, the Mackinaw Bridge. I’m from Michigan so I know it kind of well and I had so many people that were so interested in buying that property. It was a great piece of land, it was like 7 acres. Really cheap we bought it. Yeah, I mean, it depends on what you want to specialize in. Even in our tiny little subsection of real estate investment, there’s little subsections even further than that. Jill DeWit: Oh, that’s true. Shucks, I forgot about Florida. Jack Butala: We have members that all they do is Florida. They live in Florida and they invest in Florida and that’s it. Florida, if it has access, and you buy it right, you’re just not going to miss. Jill DeWit: Mm-hmm (affirmative). What about … What was I going to ask you? Jack Butala: There’s real specific property types in Florida that are a little bit unusual too that you don’t see to often. You see them in California here too, but in Florida too you see what I call canal subdivisions, which is probably just a terrible way to talk about it, but you see property that’s waterfront, I think in Alabama you see it, in Texas a little bit, where they cut a canal in and made all this waterfront property. Well, in Florida they did this, but the properties didn’t get improved. They got improved enough to the point where the infrastructures in but no houses were put in. There’s some huge buys there. We’ve talked about it on the show. I have one member specifically, got our program, got the data and bought some inflow lots in these canal type subdivisions. We just talked about people who do one or two deals a month, this guy did 2 deals in one year and made over a hundred thousand dollars just by transferring title from unwanted property to people who really wanted it. Florida, I’ll tell you, like it or not, there are some great, great, great deals there. It’s, like I said, hard to miss. Jill DeWit: Would you recommend, if someone’s just starting out, Jack, that they focus on one side of the country or the other side of the country? What’s your thoughts on that? Jill DeWit: Are you saying cash? Jill DeWit: Okay, gotcha. Money and time. Jack Butala: Time and money, so if that’s the case, I would lean more toward, and everybody’s different, but I would lean more toward that canal model/vacation model areas where you know the area. That’s one way. The other way is that if you buy large acreage, I don’t care if you live in Connecticut, if you buy large acreage in the Southwestern part of the country, you’re going to be able to turn it pretty quickly if you buy it right and if we listen to what we talk about in the Cash Flow From Land program. Don’t veer too far from it. Jack Butala: No, I think it’s really what … You know, I bought my first property was an 80 acre property in Arizona and I bought it from Pennsylvania because I was working there at the time, and I did that, Jill, you nailed it right at the beginning because … Or maybe it was the beginning of the west of the Mississippi show, because I wanted to own 80 acres in Arizona. Jack Butala: It’s as simple as that. Then I wanted to sell it just as fast. Jack Butala: I doubled my money on that, or close to it. It just depends. Jack Butala: Most people have an idea of what the heck they’re going to do with our data and our education before they buy it. Some people figure it out afterward. Either way is fine. Jack Butala: If you have a question or you want to be on the show, call 800-725-8816. I missed the Technical Two. This is the Technical Two, 2 minutes of property investment advice from our 15 year, 15 thousand transaction experience. Get that first deal under your belt. It all starts with that first deal. We have a lot of new members, especially new ones in the business that aren’t … We have a lot of house flippers who use our data. They’re buying our product because they want access to the assessor data that we provide so that they can go flip houses better. They have 20, 30, 50, 80 houses under their belt already, they just want to buy them cheaper. For the people who are brand new, just focus on that first deal. Get all the kinds out. Maybe do it all wrong. Like a first marriage, Jill. Jill DeWit: Oh jeez. I was waiting for that to come up. Jack Butala: Just get that first one done. Concentrate on that first one, forget about canal lots in Florida, and all the specializations that you’re going to eventually get into. Just get that first flip done. Convince yourself, convince your spouse. You can double your money on it pretty quickly and learn the mechanics of the whole thing and be on your way. Then you can specialize. Jill DeWit: Speaking of spouses, how many spouses are actually catching some of this stuff, are telling their significant others, turn that off, we’re done? Jill DeWit: I don’t think so. It is kind of funny. Jack Butala: It might be a sign of a bigger problem. Jill DeWit: Maybe. Yeah, don’t get any ideas. Turn that off. Jack Butala: Hey, if you have a question … Now I can say it. If you have a question or you want to be on the show, call 800-725-8816. Jill, inspire us. Jack Butala: Oh, that’s what I said too, that’s awesome. Jill DeWit: Watch that. It’s funny because I wrote it down a while ago too. I was already thinking about that, it’s funny how we come up with things, but I watch folks do this, getting ahead of themselves, jumping in. They’re thinking about deal 40 when they’re on deal 1, or they’re thinking about 18 things that could go wrong with deal 6 and they’re on deal 2. I’m like, hold on everyone. Or they’re even thinking about, they may be even going bigger, thinking about their next home or their new car when they’re on deal 3. Don’t get ahead of yourself. Jack Butala: I catch myself doing that. Do you do that? Jill DeWit: I don’t think … Do I? I don’t think I do. Jack Butala: I get ahead of myself a lot. Jack Butala: Yeah, that’s what I do. Jill DeWit: No, do not do that. Hold on everyone. You want to do this the right way, you want to … You don’t even want to think about that until you are so far into it that now it’s ridiculously silly … I mean, 6 months or a year of you struggling because you’re juggling this and your day job because you have consistency, you know what’s going on. It’s time. You want it to be past that time before you do that. That’s another thing I tell people, don’t get ahead of yourself. I guess that’s it. In every little thing, have a plan and be realistic and write it down. You’re going to tweak it. You might move things up, you might move things back, but be realistic and don’t get ahead of yourself. Jack Butala: Well said. Again, the simplest advice is sometimes the best. Start with that first deal then move forward. Jack Butala: You are not alone in your real estate business. Good show, Jill. Jill DeWit: Yeah. It was really good. I like that. Jack Butala: I like simple inspiration. Jill DeWit: Thank you. You know, I do too. You know me, I’m kind of silly. I pick up those little books and stuff in the bookstore. I’m a magnet for those, I’m drawn to them. I just love them. Jack Butala: I do too. Honestly, I sit there and I read those little books too. Jill DeWit: Right? It’s just a one page sentence and it’s something we all know. Jack Butala: It’s something about a little book. Jack Butala: A tiny little book is just so much more meaningful than a big, huge book. Jill DeWit: You know what? Remember when we started the cocktail napkin book. Jill DeWit: We didn’t follow through with that. I have the stack of those somewhere. You and I used to write things down all the time on cocktail napkins and I saved them somewhere. I thought that would be awesome to make a little book out of nothing but cocktail napkins. Just a photographs and the quote. I’ll have to dig that out. Jack Butala: That’d be kind of cool, like Jill DeWit’s cocktail napkin book. Jack Butala: All the ideas that never got done and stuff like that. No it really would be cool. Jack Butala: People would buy it. Jill DeWit: Totally. Funny sayings and stuff like that that we had.